Well, next week at this time I will be…well, it’s 9 at night so I will be trying to get to sleep for tomorrow’s Half Marathon. But I’m sure I’ll also be re-living the fun of the 10K earlier in the day!! More fun times with my friends and a lot of “not exactly strangers not exactly friends”! — and one of the amazing people out the next Friday is our next Cigna guest – Bindu Panapalli. Like, Mark who is running the 5K, Bindu is also a runner with Achilles International! she just didn’t know it at the time. Her journey began with a scheduled surgery to treat fibroids and a hysterectomy, leaving her bedridden. Six weeks later, persistent pain led the doctor to find a bowel obstruction and scheduled another surgery. This time, the doctor discovered ovarian cancer and it spread. Six rounds of chemotherapy, which also caused numbness in her leg hindering her ability to walk, stretched from summer into the fall. By November, the third surgery removed the rest of the cancer, but the battle still required two more rounds of chemotherapy in February 2017 before she could finally say she would feel like she’s truly recovering. By August, she felt ready to start thinking about a return to work. She researched what her employer’s Cigna disability insurance benefits offered including the vocational coaching program, so she requested referral. That’s when she met Robin Randol, her Cigna vocational coach, who offered assistance. 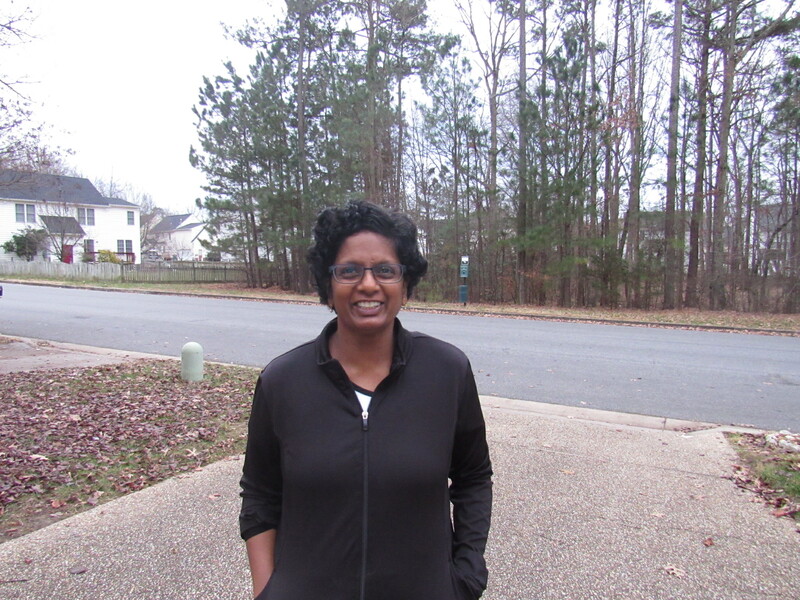 Well-educated, Bindu’s background includes nearly enough for a doctorate from India. She hopes to take her work history, education, and personal experience to help people. Cigna partners with organizations like Achilles International to help customers achieve their health and return to work goals by providing: access to additional rehabilitation resources including ergonomic office equipment, software, education and accommodations to help customers stay safe and be productive at work, encouragement and support, resume review and job placement assistance. World® 10K presented by Cigna on Friday, January 5th as a member of Team Cigna. She will be guided on the race course by Jonathan Prokup, Cigna’s executive sponsor of Achilles International and General Counsel for Cigna. The Cigna Customer Referral Program with Achilles International demonstrates Cigna’s promise to partner with customers “Together, All the Way” along their unique health journey. When injury or illness occurs, Cigna helps them get back on track to achieve their goals.